Wear one of these masterpieces and pray nobody asks the time... Unless you like talking to strangers, you'll be helping them understand what the hell they're looking at. I'll just pull out my cell phone and get the interaction over with. 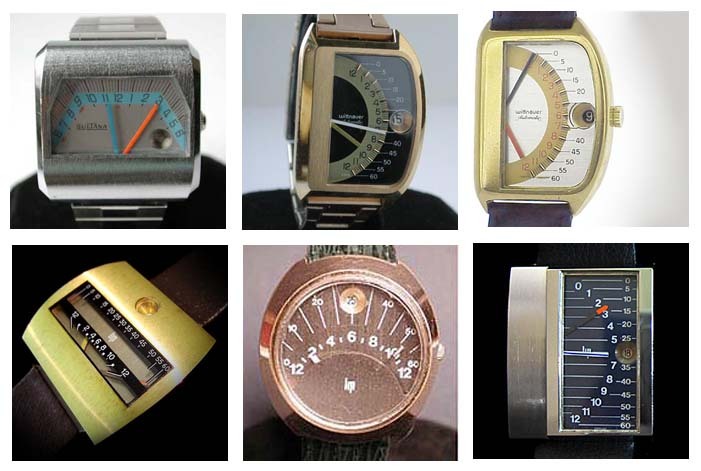 Kidding aside, these are very easy to gauge the time as well as my favorite style of timekeeping. 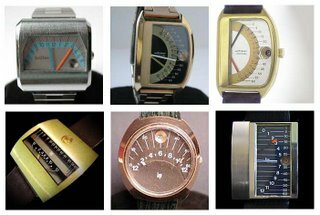 Retrograde wristwatches - Time is told as a scale typically passing over an arc of numbers. Each hand has it's corresponding hour or minute measurements and once they grow to the highest increment, they spring back to the opposite side to start the next hour or twelve hour period of timing. Circles? We don't need no stinkin circles! 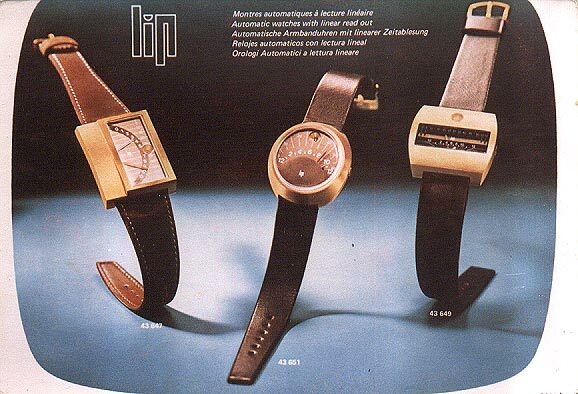 You can see this feature used in some of the most ridiculously high end wristwatches like Jaeger LeCoultre, Breguet, Gerald Genta, and Glashutte. Generally, it's a retrograde subdial, not an entire watch of retrograde movement like I'm featuring.